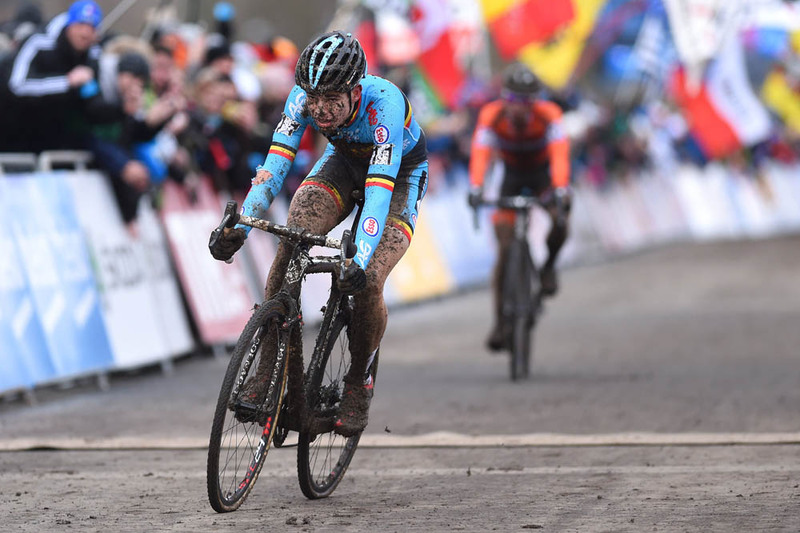 Mathieu van der Poel (Netherlands) topped a youthful elite men’s podium at the UCI Cyclo-Cross World Championship on Sunday in Tabor, Czech Republic. Twenty-year-old van der Poel attacked his rivals during the second lap of the race, and stayed away to claim the world title. Wout Van Aert (Belgium), also 20 years old, placed second ahead of Lars van der Haar (Netherlands). The lead trio were over a minute ahead of fourth-placed rider Kevin Pauwels (Belgium). Britain’s Ian Field put in a solid ride to finish in 21st place, four minutes adrift of van der Poel. Earlier in the day, Michael Vanthourenhout (Belgium) won the under-23 men’s race ahead of Laurens Sweeck (Belgium) and Stan Godrie (Netherlands) in third. Jack Clarkson was Britain’s highest finisher in 30th place.